Students begin an exploration of the culture of Central America and the Caribbean by learning about the tradition of the steel drum. Then they learn about various aspects of Caribbean culture, including those handed down from African slaves and native peoples. Next, students learn about the food culture of Central America. 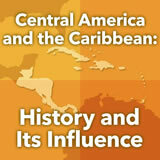 Then, they create a presentation of one aspect of Central American culture. Finally, they consider where they would like to visit and explain why. In this experience, students begin an exploration of the culture of Central America and the Caribbean by learning about the tradition of the steel drum. Then they learn about various aspects of Caribbean culture, including those handed down from African slaves and native peoples. Next, students learn about the food culture of Central America. Then, they create a presentation of one aspect of Central American culture. Finally, they consider where they would like to visit and explain why. 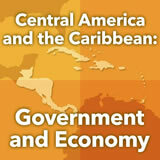 Identify and analyze the similarities and differences among Central American and Caribbean societies. 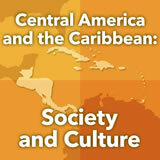 Describe various aspects of culture from Central American and Caribbean societies. Would you recognize the music of the Caribbean if you heard it on the street? Perhaps you would—or perhaps you might not even know it’s from the Caribbean. This part of the world is famous for a wide range of music types, including calypso, reggae, ska, tuk, zouk, tumba, and meringue. In this experience you will learn about the music and other cultural aspects of Central America and the Caribbean. To get the flavor of one aspect of culture in the Caribbean Islands, watch Steel Drums. What impressed you most about the steel drums? Discuss student responses. For example, some students may be impressed that the drums used for steel drumming are actually old oil drums. Invite students to describe anything they already know about Caribbean music. If some students have some background, encourage them to share what they know. 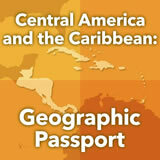 List a fact you already know or a question you have about the culture of the Caribbean and Central America. 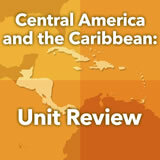 The Complete List of Learning Experiences in Central America Unit.